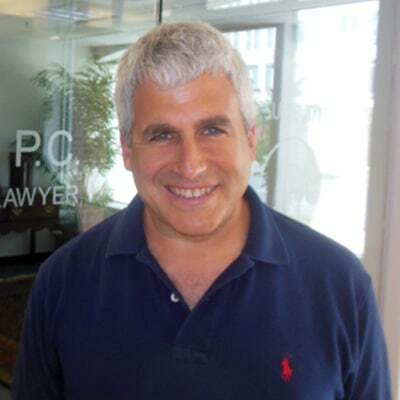 Fairfax criminal lawyer Jon Katz became a criminal defense attorney in 1991 because in his gut he thirsts unrelentingly to battle for victory for the accused and for justice, in his heart he knows the necessity of caring about and humanizing his clients, and in his mind he knows that our over-policed, over-prosecuting, and over-incarcerating society is madness that is antithetical to a free and open society. Nothing beats trial and litigation combat experience. Since 1991, Jon has defended thousands of clients in criminal court, going to trial for hundreds of cases, preparing and writing motions and appellate arguments, and arguing numerous federal and state appeals. Because united we stand, divided we fall, Jon works as a united front with his clients, and collaborates and brainstorms repeatedly with his colleagues — including with trial workshops — to keep driving towards victory. Jon has been fighting for justice ever since college (Tufts, University, B.A. 1985) where he worked for human rights with Amnesty International, later co-founding an Amnesty International chapter in law school (George Washington Law School, J.D. 1989). After learning the litigation ropes with a great law firm litigation department (1989-91), Jon became a Maryland public defender lawyer fighting for over a thousand indigent criminal defendants (1991-96). While a public defender lawyer, Jon gained admission to the nation’s two best lengthy colleges for criminal defense lawyers – the two-week NCDC Trial Practice Institute and the four-week Trial Lawyers College started by master persuasion lawyer Gerry Spence. Jon later joined a D.C.-area trial law firm (1996-98), and then became his own boss in 1998, knowing that doing so is the best way to spread his wings. More about Jon is here. Fairfax criminal lawyer Jonathan L. Katz will be delighted to discuss your case with you, by your scheduling a confidential consultation through his staff at 703-383-1100. Jon’s email address is jon@katzjustice.com .